Greetings from the centre of the universe and elsewhere …………. 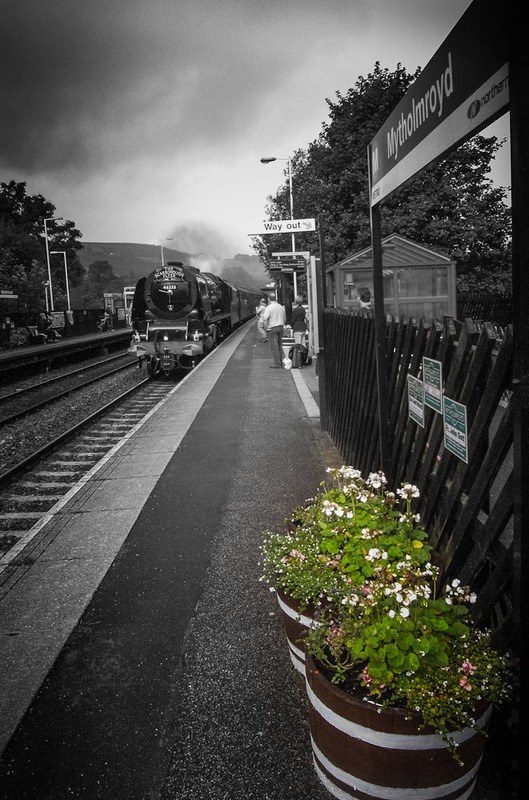 We are always looking for old photos of Mytholmroyd and station for our posterboards on the platforms – makes the wait for trains that much more interesting. Just went for the 10.05 to Sowerby Bridge and found MYT station crowded – apparently a steamer was running 30 minutes late. Never one to miss a snap – hope you like it.